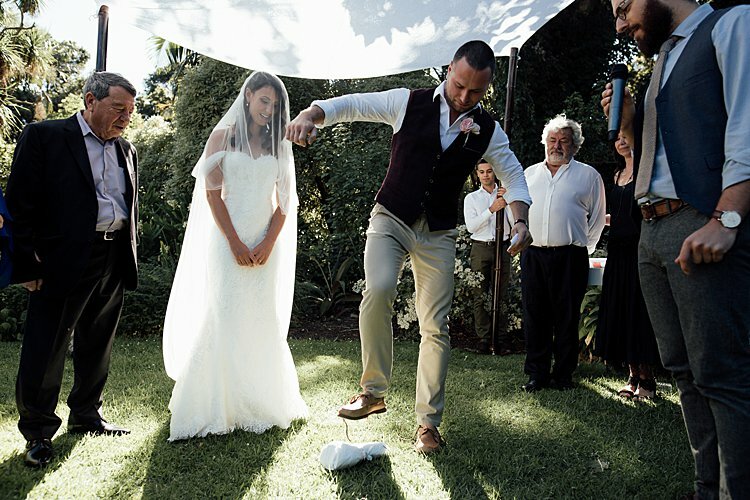 Could we pretty please order up some of the brilliant Australian sunshine on display in today’s super personal, super spiritual Jewish wedding? This winter thing is getting awfully old here in the Northern Hemisphere! 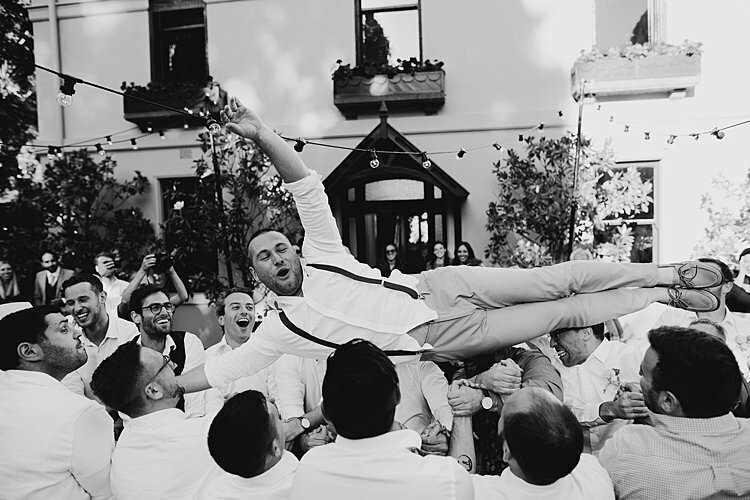 Bride Liron, a lawyer, and groom Jason, a writer and product manager at an international education company, believe that people should come away from your wedding “feeling like they just had a glimpse into your love,” and that’s exactly the effect their beautiful day had on us. 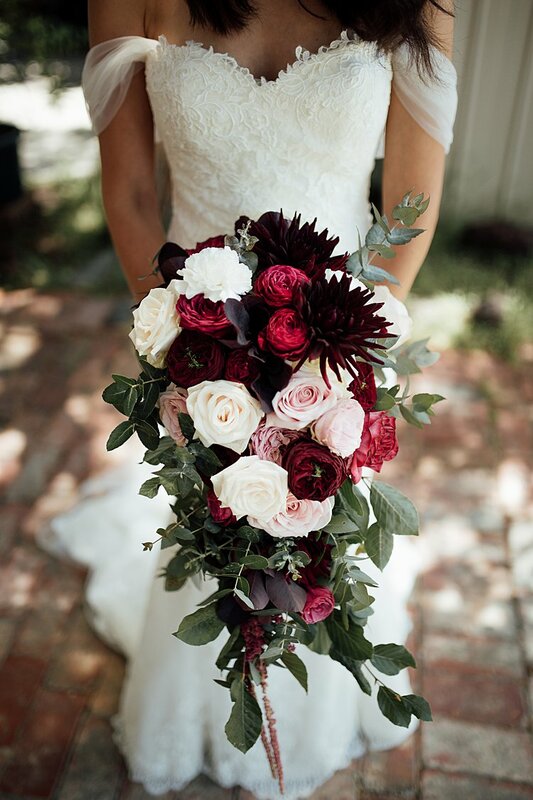 The couple infused their outdoor wedding at the Royal Botanical Gardens in Melbourne with so much of themselves, and you can really feel the love and intention they put into each step. 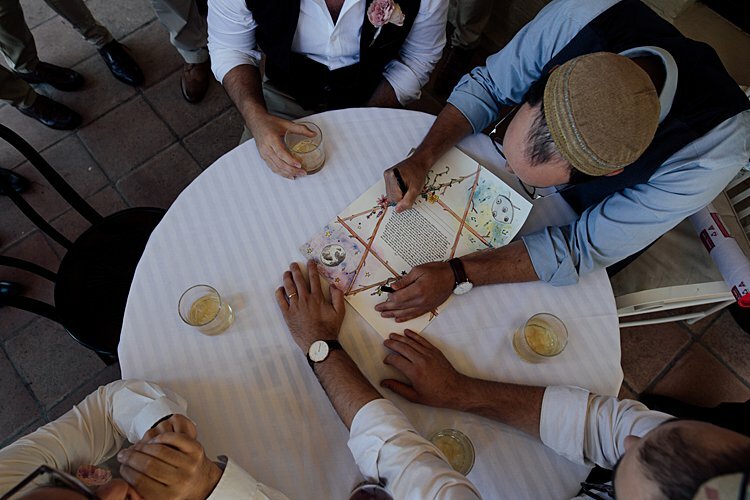 How awesome is it that Liron and Jason hand-built their own chuppah?! No mere DIY project, the couple viewed it as symbol of the home they are building together, and they took the time they spent constructing it as a chance to discuss the kind of family life they want together. Isn’t that so lovely? Not to mention that the simple white fabric canopy they chose was the very definition of simple elegance under the eucalyptus trees at their gorgeous outdoor garden ceremony. Another way the artsy pair connected with each other and their guests on the day was to perform some of the music themselves! 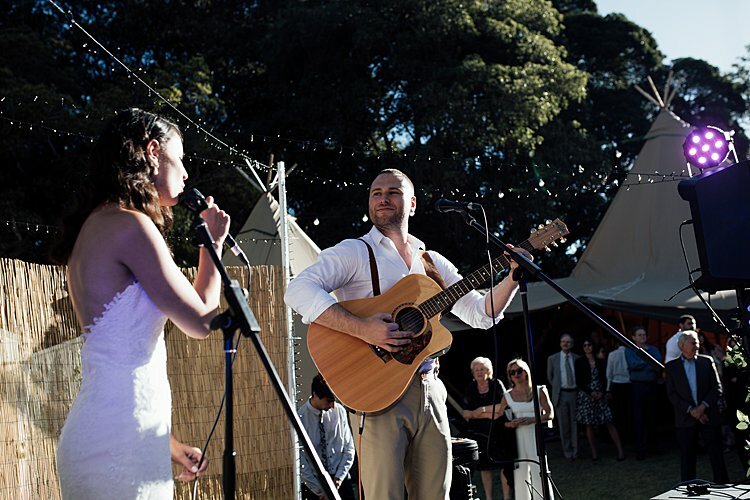 In addition to joining in on an acoustic set during the reception, the performed two songs for their guests–as if just getting married weren’t nerve-wracking enough for one day! Liron, the bride: we met at university (we both studied law). I was involved in the Jewish students’ club and on this particular day we had a stall at the orientation carnival, giving away challah and selling memberships. Jason came by to grab a piece of challah… he walked away with the phone number of his future wife.